Margaret Humphries Barnett, 76, of Clarksville, entered her eternal home with Jesus, Tuesday, November 20, 2018 at Spring Meadows Health Care Center. A celebration of her life will be held 1 p.m., Wednesday, November 28, 2018 at McReynolds-Nave & Larson Chapel with Dr. Felts Dent officiating. The family will receive friends Wednesday from 12 noon until the hour of service at the funeral home. She was born March 21, 1942 in Portland, TN. Margaret is survived by her husband of 43 years, Les Barnett Jr.; twin sister, Rebecca Smith, Marietta, GA; older brother, Marion Humphries, Russellville, KY.
She is sadly missed by both Humphries and Barnett families. 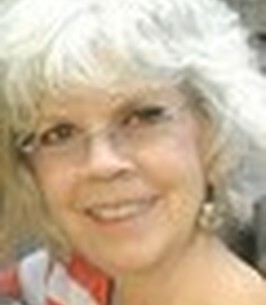 She is a long time member of First Baptist Church, The Clarksville Friends of Photography and the Gideons Auxiliary. In lieu of flowers, memorial donations may be sent to Coldstream Christian Camp, 1820 J.M. Goodman Road, Adams, TN 37010 or First Baptist Church, 435 Madison Street, Clarksville, TN 37040 or The Gideons, P.O. Box 45, Clarksville, TN 37041. 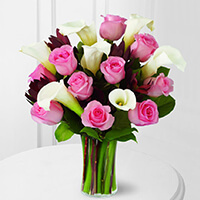 To send flowers to the family of Margaret Lou Barnett, please visit our Heartfelt Sympathies Store. Les, I am so sorry for the loss of your best friend Margaret. She was a sweet lady who had the kindest smile. I’m praying for peace in your heart and mind as Margaret sits at the feet of a Jesus. Les, Becky and Marion, I'm so sorry we lost Margaret. I know she will be sorely missed. She was a great person. Margaret, a precious woman of God! I got to know her while on our many senior trips with First Baptist Church. She participated in many small group Bible studies, which I was a part of. I remember her as always eager to grow in her faith and learn. She will be missed by us all. We will miss her sweet smile. Leslie, we were so sad to hear of Margaret's passing. Our hearts are breaking for you!! Praise God for His Infinite Love!!! I am heartbroken to learn of Margaret's passing. She, was an incredibly nice person, a seeming rarity these days and will be sorely missed by all who knew her. May God bless Margaret upon her arrival upstairs, and her family that remains! I only knew Margaret for a little while but in that time I felt I had known her a long time. Margaret was a very sweet lady who always had a smile on her face. I will really miss seeing her at our favorite restaurant every week. My prayers to you Leslie. So sorry for your loss, my Mother was Mary Cooper. I’m not sure if I met you and if I did it was long ago but I felt I knew you through Mary. I knew you two spoke often and you were a great comfort to Mary over the years. She was always so glad to talk to you and I know she loved you very much. I can see both of you now chatting away and catching up on old times. Rest In Peace.